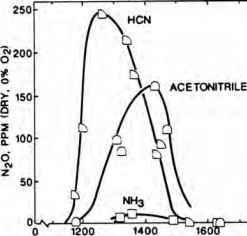 In the presence of amine-like nitrogen compounds in combustion a reservoir of NH radicals is generated. Depending on factors such as temperature, pressure and the air:fuel ratio, reaction products such as N2, NO and N2O are formed. 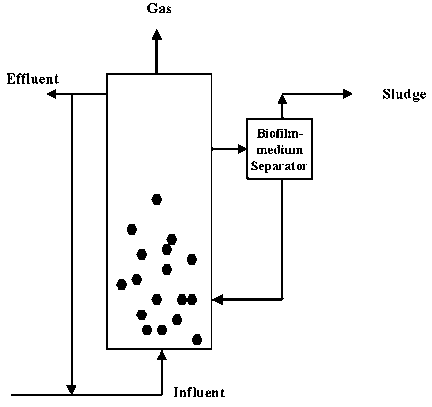 In Figure 9.2 the most important reactions of NHt radicals in flames are summarized. 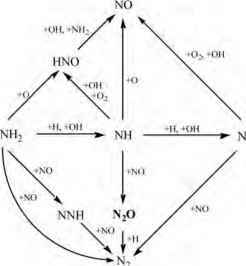 However, under these conditions N2O is destroyed very quickly by its reaction with H atoms and/or OH radicals. Only if the local flame temperature is in the region of 1000K is a significant formation of N2O observed.